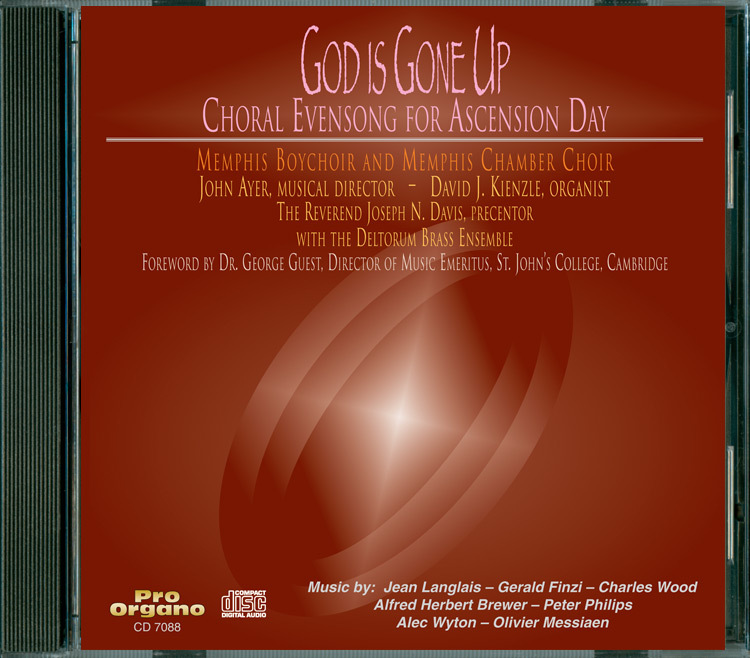 John Ayer, founding director of the Memphis Boychoir and Memphis Chamber Choir, leads the ensembles in a choral evensong for Ascension Day, with Rev. 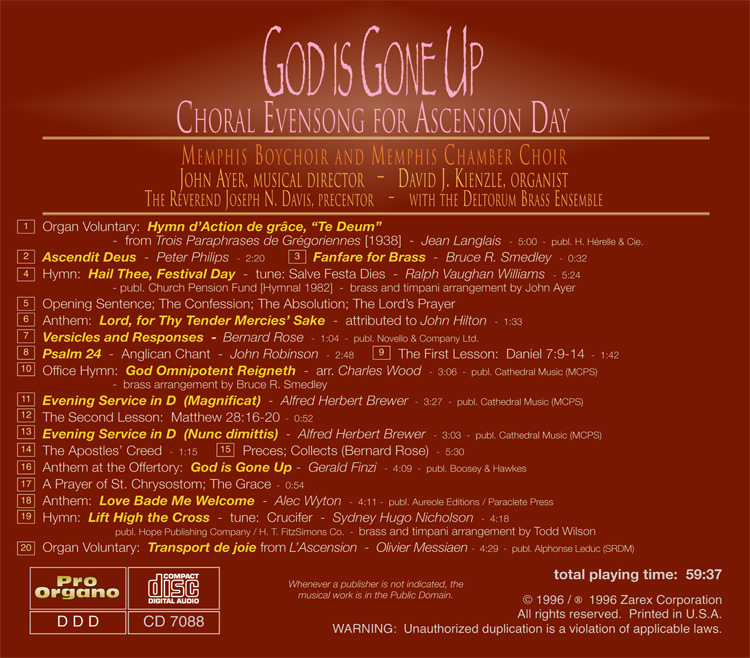 Joseph N. Davis as Precentor, David J. Kienzle as organist, and in selections with the Deltorum Brass Ensemble. 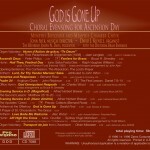 Select tracks from this album are available as MP3 download. These tracks are indicated with a RED box in the audio samples list. To add a track to your cart, click on the RED box.